Samford University history professor Carlos Alemán has been chosen to serve as chair of the Birmingham-based Hispanic Interest Coalition of Alabama (¡HICA! ), a nonprofit organization dedicated to the social, civic and economic integration of Hispanic families in the state. ¡HICA! has grown dramatically since its founding in 1999. Alemán said it provides services and referrals to thousands of people as always, but now also helps build capacity in the community—helping clients register for nationalization programs, providing educational services and even helping entrepreneurial clients secure micro-loans to start businesses. Alemán said the group is currently strongly focused on helping clients renew requests for consideration of Deferred Action for Childhood Arrivals (DACA) status before an Oct. 5 deadline. The group is also working to help Birmingham become a Welcoming City. On campus, Alemán works to educate Samford students about Hispanic culture through his course offerings and his leadership of the Latin American Scholars program. He is partnering with biology professor Drew Hataway to offer an interdisciplinary study trip to Nicaragua next summer. Alemán said he also feels a responsibility to encourage and support Samford’s Latino students, some of whom are DACA recipients. Several years ago, when he met students who felt isolated or discouraged, he helped them find and support each other and establish the Latino Student Organization (LSO). “It’s about reaching out to students who I felt were not talking to one another,” he said. University Fellows alumna Fernanda Herrera ’17 was one of those students. She earned a prestigious internship with the Congressional Hispanic Caucus in 2016 and has become a prominent voice in the national movement to preserve DACA. She returned to campus in September to speak to the Frances Marlin Mann Center for Ethics And Leadership’s cadre on faith and current events, and will serve as a panelist alongside Alemán at an Alabama Latino AIDS Coalition event at Hoover Library in October. 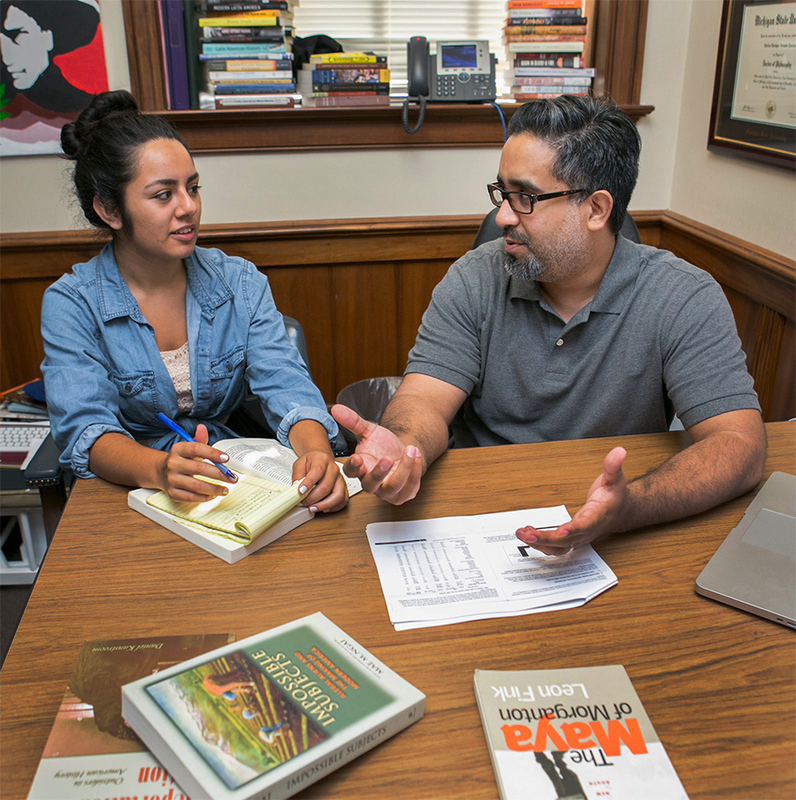 Alemán has created several opportunities for other Latino speakers at Samford. Last year he arranged for “DREAMer” attorney and immigration reform advocate Cesar Vargas to speak on campus. In 2015, he brought to Samford a group of parents of the “Ayotzinapa 43,” Mexican students who vanished after being attacked by police and army units near the town of Iguala in 2014.